You are tall and proud, a shining knight about to conquer the enemy land. You will command your army in perfect execution until all your opponents have burned, drowned, or been cut down by your arsenal… of vitamins and chlorophyll. You, my friend, are about to embark on your new healthy diet – the one you are sure is going to get you clear, the one you are going to be so good about, the one you’ll never slip up on once, the one in which that mint chocolate chip brownie that your grandma baked will never slip past your lips, no sir. You are taking on this attitude of sheer determination, and you think you can’t fail. You’ll be clear before you know it. But before you change anything in your diet, I want you to sit down and think about something. How do you feel about yourself? Deep down. Do you like yourself? If you’ve dealt with acne for a long time, you probably don’t. Maybe you think you do. But I bet you feel some pretty deep despair, desperation, and maybe even depression over the situation. Do you think no one will look at you, love you, or respect you unless you get rid of this dreadful pest and get rid of it now? Why? Why do you feel that way? Did you feel this way before you got acne, but the feeling was in disguise, a different form – wearing a different mask? Whether you know it or not, the answer is most likely yes. These are things you need to examine. I always thought I had good self esteem. I thought I liked myself. I’ve always been someone who’s been quite competent at most of the things she does, as well as intelligent, pretty, and social. I had no problems getting boyfriends or jobs. I was adventurous and strong enough to do things like travel across the world on my own when I was 18 years old. No problem. I consciously knew I had these things going for me. But what I realize now is that what I had was not truly self esteem, it was actually just a fragile ego. Despite feeling confident, I was extremely sensitive to criticism. When I had mild acne, it was never dire enough that anyone would even notice, let alone dislike me or judge me harshly on it. But did you think I would ever, ever let anyone see me without my few spots covered with makeup, my mascara on, and looking my best? Never. Deep inside, I could never bear the idea of people seeing me as a less than perfect human being. This is because I could never bear to see myself as a less than perfect human being. It was no surprise that when I came down with severe acne, I was in a relationship with a boyfriend who didn’t seem to like the way I made love. My delicate psyche couldn’t seem to deal with this perceived criticism, and I came down with severe acne as a way that my damaging beliefs about myself could take cover and transform into a problem that disguised the real issue – before I could discover them. What you probably want to know is… what do you actually have to do to get clear? Just get to the point! If you’ve already read my article about the cause of acne, you know that blood sugar problems and chronic inflammation are what bring acne to life. You also know that these are brought on from a trickle down effect from poor digestion and stress. Since there is no one thing that caused these important functions to go out of whack, the only thing you can do is bring yourself back to an optimum state of health by improving all areas of your lifestyle. It’s in this way that all your body systems will begin to work together again to heal, the trickle down effect will stop, and your acne will clear up. It’s inevitable. So what are you going to have to do? Improve your diet: This includes moving away from processed foods and towards whole foods, finding and eliminating food allergens, doing a bit of a cleanse to improve your digestion, and taking some broad spectrum supplements to support your overall health. Look at your emotional wellbeing: A lot of people trying to improve their acne holistically begin by stressing over every little nitty gritty detail of their diets. As much as you do not want to believe it (I certainly didn’t), stress and emotions are just as important, if not more important than diet. Do some serious work here, as difficult as it may be, and you will definitely see returns. Exercise: Moving our bodies is essential to it being healthy. If you’re a couch potato, time to get up and start running, dancing, biking – whatever is fun for you. Visit with the sandman: Sleep is the time for your body to refuel and do its janitorial duties. If you aren’t getting enough regular sleep, your body can’t do its detoxifying routine. This will catch up with you. Get outdoors: This includes getting a bit of sunshine each day if you can, breathing fresh air, and becoming at peace, as nature is the place where we can best become centered again. Stop abusing your face: Harsh creams, face washes, and your picky little fingers are all very detrimental to your skin healing. You wouldn’t want to be poked and prodded, doused in acid and dried out like leather, why would your epidermis? It doesn’t have to be hard – it’s more like common sense advice that most people in this world should be following – and getting healthy can actually be a lot of fun. Most people stress over it much more than is needed, and that is counterproductive. 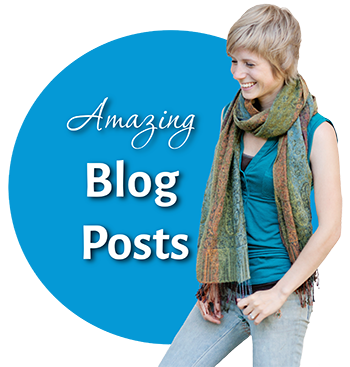 If you can improve the areas of your lifestyle that need work and simply enjoy the journey of new ideas and self discovery, you will definitely start to see your acne improve. I promise. Which area of your health could you improve on most? Leave a comment and let me know! Why, oh why, oh why…why me? What have we done to deserve this tumultuous curse? What is the cause of acne? No no – not dirt and bacteria and all that garbage that gets spouted off by doctors and dermatologists. What is the real cause of acne? To put it short and simple: Acne is caused by blood sugar problems. Blood sugar is what affect the hormones that block your pores and low grade inflammation throughout the body is what causes blocked pores to become those angry, inflamed pustules that we all know and love. Poor digestion. What causes poor digestion? Well, believe it or not, it’s not just food, although it is obviously a major factor. Exercise, chemical toxins, sunshine, and especially stress and emotions all affect digestion as well. Ill emotions. I call it this instead of stress, because stress is an emotion – it’s fear. Chronic stress (usually in the form of low self esteem for us acne folks) cause your adrenal glands to produce the steroid hormone cortisol. Cortisol is good in small amounts, but if there’s too much of it in the blood stream for too long, it suppresses the immune system, adds to blood sugar problems, and further harms your digestive activities. I am of the firm belief that almost all diseases in the body stem from these two things. Since our bodies are amazing holistic beings (holistic meaning the importance of the whole and the interdependence of its parts), every body system, including the skin, is dependent on the others to work optimally so that we function the way we’re supposed to. 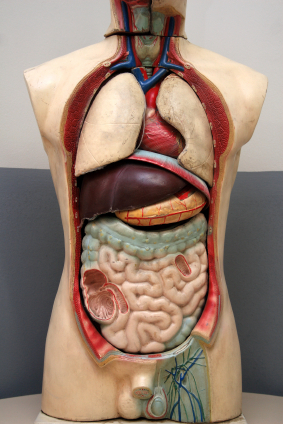 When it comes to our digestive systems, it is our first point of contact… it’s where the whole cycle of life starts. Our energy is consumed in the form of food, in which those nutrients are converted to serve and let thrive the billions of cells in your body that make you up.This happens through millions of biochemical reactions throughout your body, each intricately dependent on one another. Over the years, all our little health misdeeds add up to the point where our bodies are not absorbing those nutrients or happen to be absorbing undigested food particles which cause inflammation. Without proper fuel, the cells can’t do their jobs properly, and this then leads to all sorts of problems in a very intricate trickle down effect. When your stomach isn’t functioning properly, that affects the intestines, which in turn affect the job of the liver, gallbladder, and kidneys, which in turn affect the composition of the blood (here’s where the stress and blood sugar problems jump into play), which in turn affects hormones and all the cells in the entire body, including the immune system and the lymphatic system. So as you can see, it can end up a real mess. Chronic disease is the end point of this whole trickle down effect. Your genetics determine what is the part of your body that goes first… other people end up with obesity, chronic fatigue, arthritis, diabetes, auto immune diseases, and a whole array of others. For us, it’s acne. So now you know what causes acne. Drugs and topicals will never truly fix the problem. They may work for a while, but if you stop using them, your acne is still there waiting, lurking in the shadows, like the monster under your bed. And unless you address the cause behind the symptom, it will eventually break through that patch of acne drugs you’ve been using and… well…you know what happens next. The good news is that our bodies are incredible and are always working to maintain a level of homeostasis where everything is working as it should. This is why we don’t need drugs to “heal”. Your body knows exactly what to do, and it’s always trying so very hard. Like the little engine that could! But it just can’t stay on track and get up that hill when your unhealthy habits are throwing it off the rails at every turn. It simply can’t make it over that mountain – unless you allow it to by taking a step back, examining where you can improve your health, and taking action. Hey, what do you think is causing your acne? Tell me below. 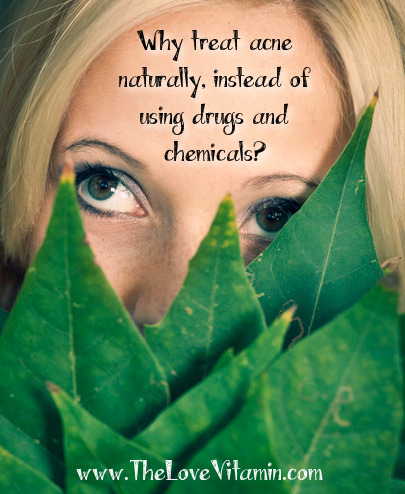 What Are The Benefits Of Treating Your Acne Naturally? 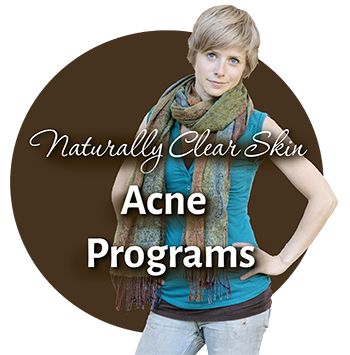 Why would someone choose to forgo conventional acne treatments for a more natural approach? You’d think taking Accutane or some other strong chemical would be a lot easier, especially if your acne is anywhere near as bad as mine was. 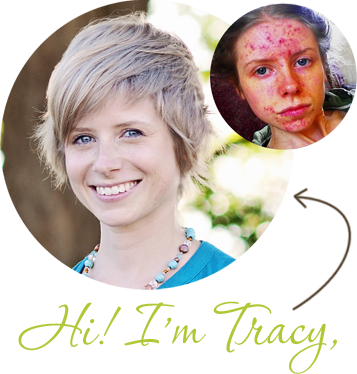 I was introduced to natural and holistic healing for the first time about four years ago when my acne was less intense. Despite it being mild most of the time, it would still go through phases when it became worse than usual. I’d start coming down with quite a few of those sore, under the skin kind of spots – mostly around my chin – and I’d start to get frustrated. I was using benzoyl peroxide night and day. I don’t know how effective it really was, because I still had acne. I guess I just assumed that if I wasn’t using it, it would be a lot worse. So, because I was already using a conventional acne treatment and it wasn’t working, I felt like I needed other answers. There had to be a better way! I felt stuck… I was too embarrassed to see the doctor – putting it in perspective, I felt like it was not bad enough to warrant a visit. That made it worse since I felt ashamed about how much it truly bothered me. But there just had to be something else I could do! And when I want to know something in the privacy of my own home… there’s always our trusty pal, the internet. To be honest, I had never given much thought at all to how I lived my lifestyle and whether it was healthy or not and how that would affect something like my skin. All you hear from anyone is that acne is from sebum and blocked pores, so wash your face and it’ll be A-okay. This is such a narrow and simplistic view of a disease like this, but extremely congruent with western medical dogma. But I didn’t know any better, so I washed my face religiously, slapped on my benzoyl, and ate whatever I wanted and never exercised. However, in my travels across the internet, and the purchase of my first acne ebook, the power of diet and its affects on acne came to my attention. I was very resistant to it at first… give up sugar? Deep fried foods? Having to THINK about my diet? What? But I figured that giving it a try wouldn’t be that terrible, so I gave it a go. I did a Candida style cleanse for three weeks, and thus I embarked on my first semblance of natural healing. And what do you know, the acne on my chin cleared right up and stayed clear for quite some time afterwards, despite me quickly slipping into my old habits. Well, I was sold, or at least I now had some experience with the power of nature. After a year or more of old habits, the acne on my chin began to emerge again, and so I bought a new ebook, took a new approach, and within a couple months, my skin was clear again and stayed clear for some time. Again… I quickly fell into my old habits until our old friend, acne vulgaris, creeped up on me yet again. This time, at the turn of 2010, my lifestyle was especially bad… I was working in a pub, stressed every night from waiting tables, sleeping terrible hours, drinking a lot, gulping down pub food on my rushed breaks, and dealing with a difficult relationship. Benzoyl didn’t seem to be working, so I ditched it, and began frantically searching for a new product to take its place. I even went to the doctor this time, but hummed and hawed about the birth control pills and bottle of Differin that he gave me, as I just couldn’t wrap myself around the idea of dealing with the side effects from these drugs. I ended up not using them, and continued with other various over-the-counters. The combination of everything going on in my life at that time culminated in a very sudden and severe acne attack, much worse than ever before. I couldn’t even believe it. It started on my forehead… I woke up one day with more zits than I had ever had there. Then it seemed to spread all the way down my face until it was hardly a shadow of its former self, getting worse and worse and worse with each passing week. I cursed myself for ever having fretted over my mild acne. I had never liked it, but I still had it vaguely in perspective – I’d see people with severe acne and thank my stars that I didn’t have it that bad. How could this be happening to me?! I was suddenly trapped in my own personal nightmare. However, I knew what needed to be done. I knew the holistic approach worked, as I had seen it myself. I knew my lifestyle was bad, but it can be difficult to get the motivation to change, especially if your unhealthy lifestyle is intertwined with your job and your friends. I began taking supplements in vain, hoping to still take the easy way out, still hoping for that magic pill. After realizing that that wasn’t going to work, eventually I decided to get down to business and be serious about putting all the elements of health into place. Within four months or so after getting gung ho into the natural side of life, my skin had dramatically improved, as I knew that it would. I have to admit, it wasn’t an easy road – I made many mistakes that I would avoid if I were to do it all over again. But you know what? These are all just hurdles in the story of our lives. I worked through them and learned lessons. Was it easier than Accutane? No. Did I grow heavily as a person and learn more about myself than ever before, as well as gain valuable insight and knowledge that will benefit me and my face for the rest of my life? Check. Am I improving my overall health as a whole so that I’m also preventing all sorts of other health plagues and annoyances? Yep. Do I feel better, look more vibrant, full of life, and enthusiasm? Uh huh. Am I brimming with a sense of accomplishment that I beat this evil beast all by myself by taking an active role in my healing and choosing not to be a victim? For sure. And finally, am I dealing with ridiculous side and after effects of some medication that may work short term but leaves your body weaker so that acne is more likely to return in the future? Hey! If you liked this article, leave a comment below and tell me why you are fed up with conventional treatments and are ready to go natural! Hello everyone! It’s a new year and I’m kicking it off this January 1st with my very first blog post. Check out my video here where I introduce myself and let you know a bit about your new host. I’d also love to get to know my readers, so after you finish watching, please introduce yourself in the comments below and tell me your story!